I often get asked how much lumber should be purchased for a project. My answer is to have enough on hand that you do not have to settle for what is a mismatched piece in your project. Even with that in mind, there are times when mismatches happen. My secretary doors are a perfect example. 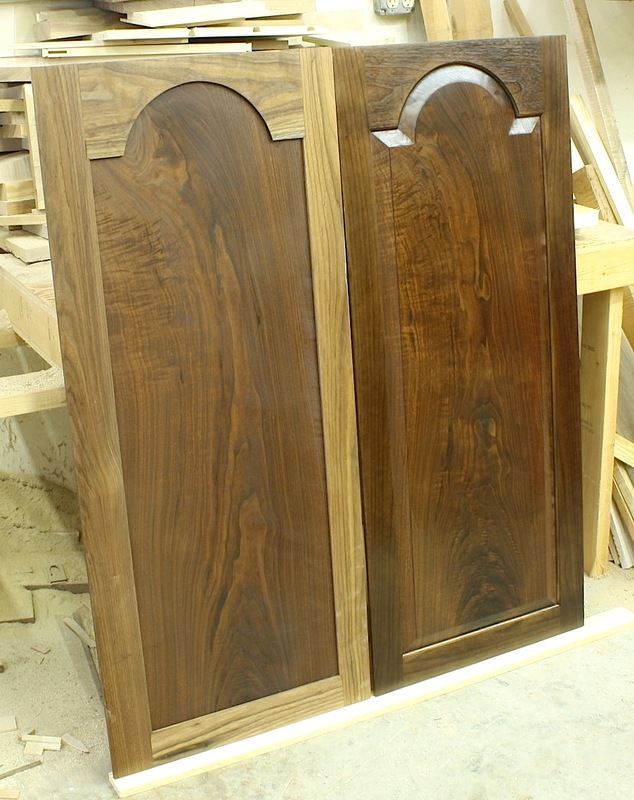 In the photo you can clearly see the differences between the door panel’s rich, dark walnut and the significantly lighter walnut used in the frame. At the time, I selected those materials to allow the grain of the book-matched panels to stand out. Big mistake. For a better look at the toner I used, click the photo. As I applied oil to the walnut, the differences proved to be too much. 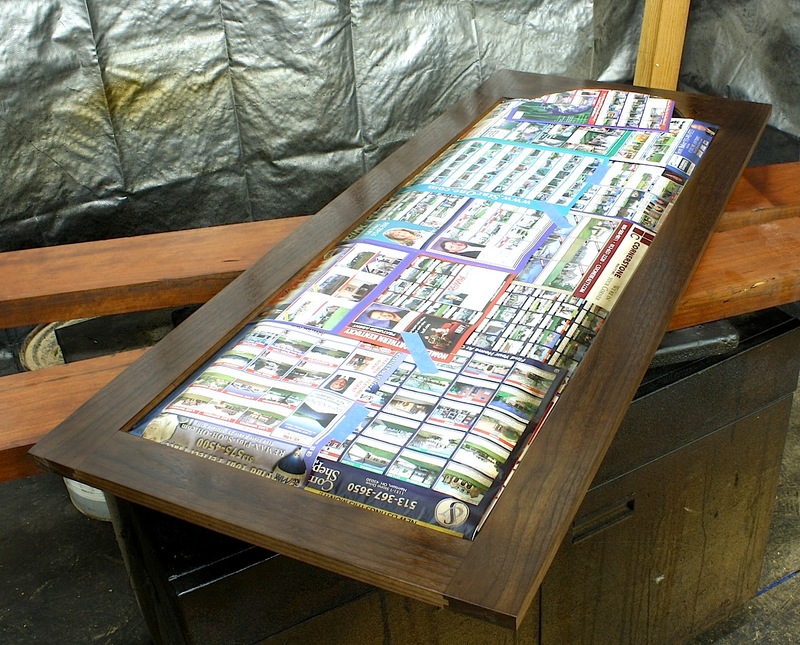 If I had determined the differences prior to oil application, I could have evened out the frame using aniline dye. With oil applied, the process is different. I decided to use a lacquer-based aerosol toner to correct my colors. I used a dye-based toner instead of a pigment-base toner to minimize the effect on transparency. Before using any toner, I added a coat of shellac to my doors – shellac is the perfect finish to apply over an oiled surface (allow oil to dry 24 to 48 hours). I then added toner on top of the shellac. I masked-off the panel area to adjust only the frame, then lightly sprayed a few layers of toner onto my frame until my pieces better matched. 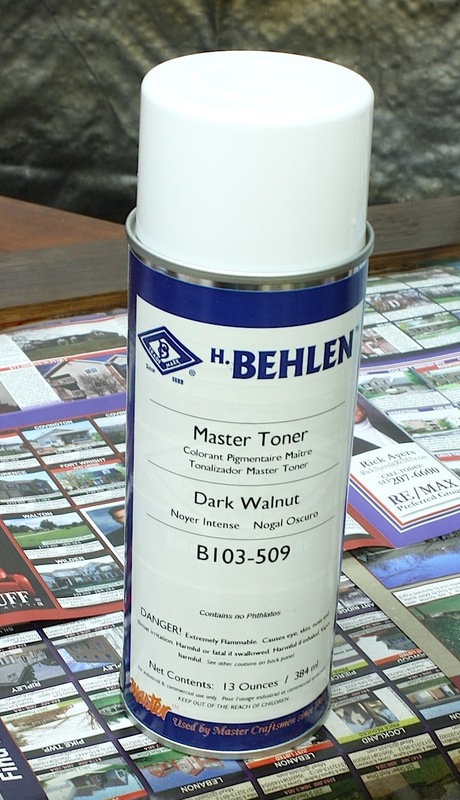 This toner has a higher sheen that the early coating of shellac, but that sheen is leveled when sealed under another coat of shellac. 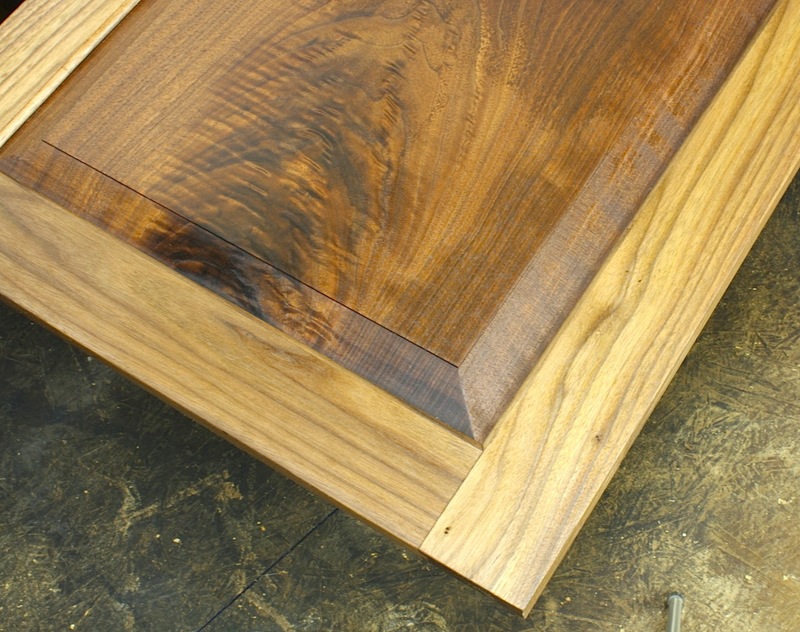 When I was satisfied with the match, I sprayed another layer of shellac to seal in the adjustments. From there, I proceeded with normal finish processes. Here is a look at a completed door front set beside an non-treated door back. You can see how my frame is a closer match to the panel, and just how much the change was in total. I would have preferred to select my materials for a closer match from the beginning, but it’s good to know there is a way to fix bad decisions.